Next, you will be sent to a page called Installation. This page will ask you specifically to choose your WordPress login information and site title. In addition, it will require you to input an email address for site notifications. You can change all of this information if you change your mind. Type in a site title, username, password, and email that you have access to. A default password will be made for you, but you can change it. Lastly, under “Search Engine Visibility”, you have the option to have the option to Discourage search engines from indexing the site, if you want your site to be private. Otherwise, leave this option alone and leave it unchecked. 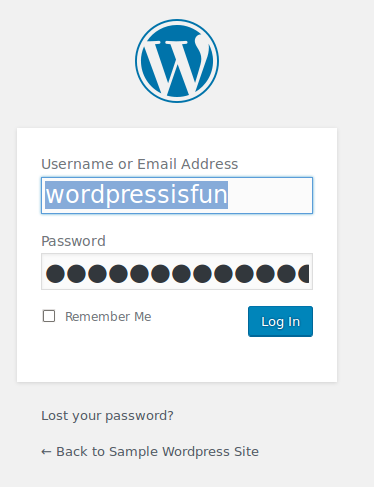 I chose the site title “Sample WordPress Site”, username wordpressisfun, password learnnewstuffdaily, and email [email protected], but you should obviously change to something you want. 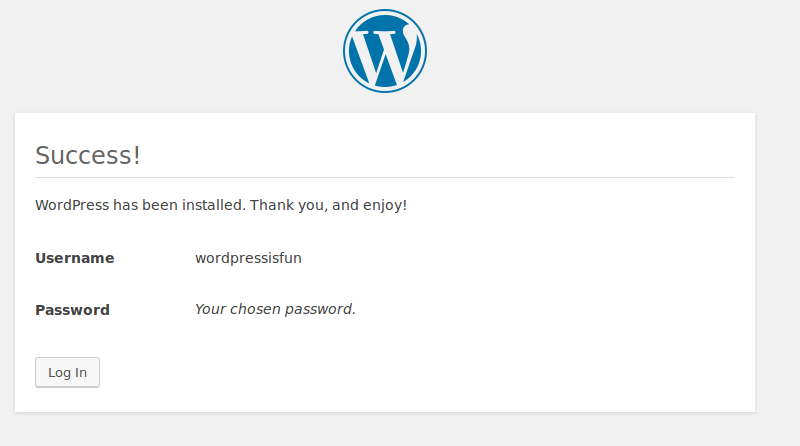 Next, type in the WordPress login information that you chose earlier, and login. 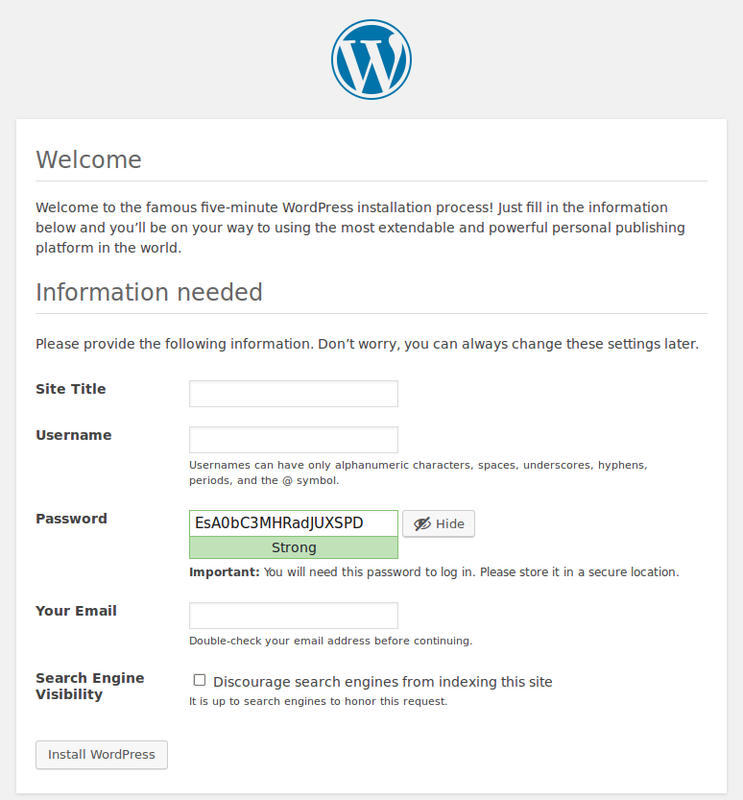 The following picture is a screenshot of a successful login for WordPress. 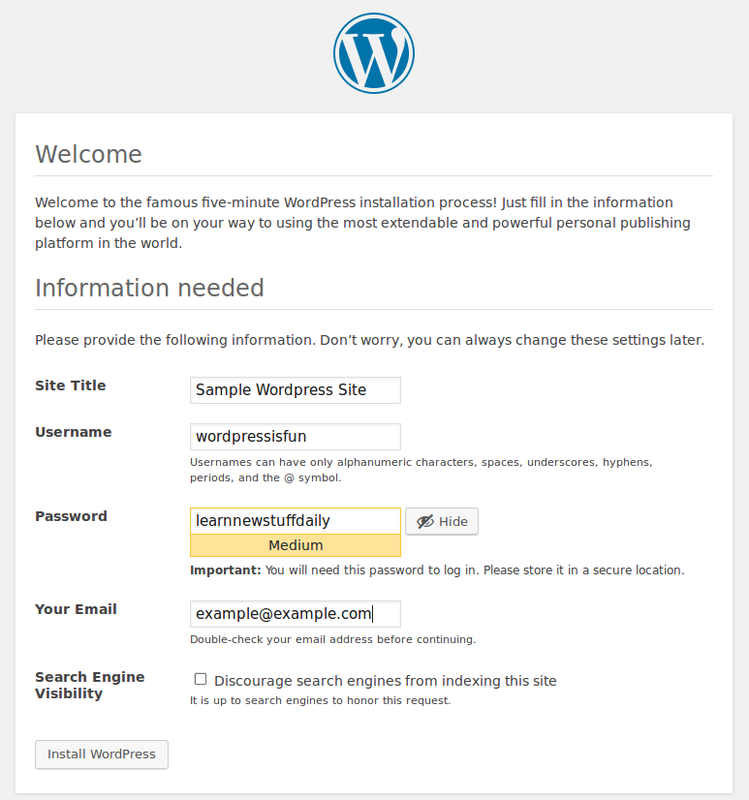 You can now get started blogging with your WordPress site. The next steps would be setting up plugins and writing content. Did you have any questions or comments from this article? Let’s discuss this in the comments below.